Earlier this term, we read the biography of Harriet Tubman. Students were put into groups of 5 and everyone selected one section of a biography to complete independently (Early Life, Achievements, Challenges, Why They Are Famous, etc) as well as a media component to compliment their section. 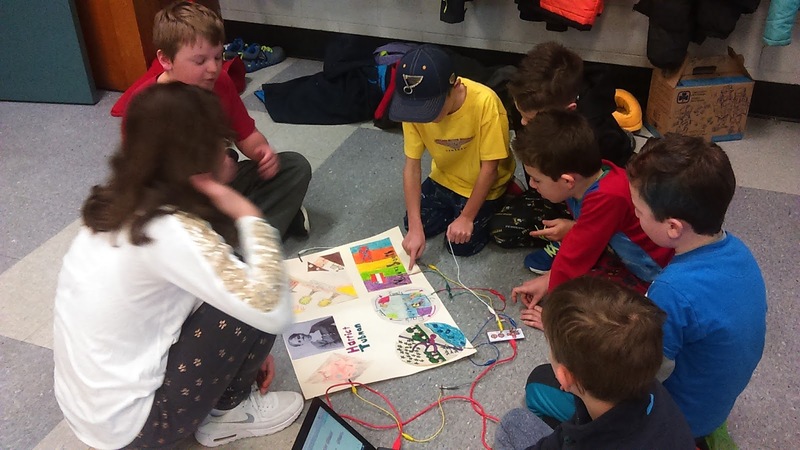 Next, they put all sections together on one group poster, using Scratch and Makey Makey to make it interactive. It was an engaging way to teach the elements of a biography and share their learning with younger students!